We’re still more than a year away from the premiere of Justice League, but the arrival of Batman v Superman: Dawn of Justice on Blu-ray has brought with it a fresh preview of next year’s live-action superhero team-up event from Warner Bros. Pictures. This week’s release of the “Ultimate Edition” of Dawn of Justice was accompanied by a piece of concept art from Justice League that offers a look at what The Flash, Cyborg, Aquaman, and the rest of the characters that only made cameos in Batman v Superman might look like in next year’s film. 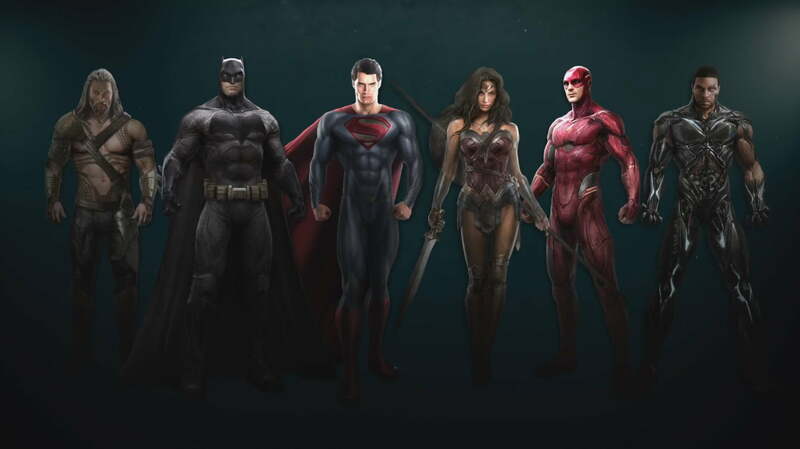 Of course, it’s worth keeping in mind that the Justice League concept art (which was shared on ComingSoon.net) might not depict the final look for some of the superheroes, but even so, the art provides a hint of what audiences can expect to see in the film. The concept art is the latest in a series of recent updates on the 2017 film as WB attempts to correct some of the issues with the much-maligned Batman v Superman — and its cinematic universe as a whole. With both 2013’s Man of Steel and this year’s Batman v Superman underperforming at the box office and with critics, the studio appears to be making a concerted effort to woo movie bloggers and fan press with visits to the set of the film and interviews with the cast and creative team. Set to star Ben Affleck, Henry Cavill, and Gal Gadot as Batman, Superman, and Wonder Woman, respectively, Justice League will also feature Jason Mamoa as Aquaman, Ray Fisher as Cyborg, and Ezra Miller as The Flash. They’re joined by Amber Heard, who will portray the Atlantean Queen Mera, as well as Willem Dafoe as Vulko, and J.K. Simmons as Commissioner James Gordon.